Have you ever noticed those tiny flecks or spots that seem to appear aimlessly floating around in your field of vision? 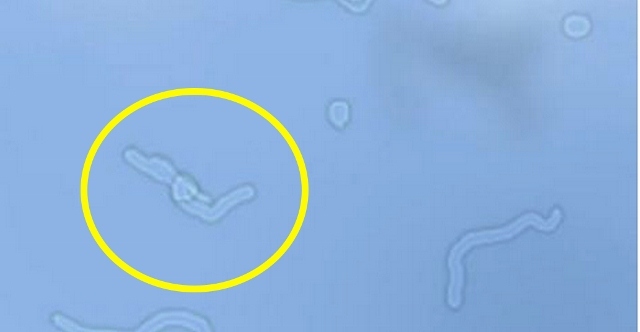 These specks are called floaters. They are more visibly when looking at the clear sky or a white screen. Floaters are actually shadows caused by changes to the vitreous, the gel like substance in your eyeball, either by minute pieces that have broken loose or by shrinking of the gel like substance causing stringy “fibrils”, tiny strands that cast shadows onto the retina. They never seem to stay still and when you move your eyes they seem to be drifting along with the movement. Floaters are mostly an annoyance and part of the ageing process. When you notice them for the first time they can be very distracting to a point where you can’t seem to “unsee” them. In time the brain learns to ignore and look past them and sometimes over time they are known to settle below the line of vision. Anxiety about the symptom of floaters can make the floaters more noticeable so it’s best to just relax about them once you know they are harmless. Relaxation techniques can help.Statistically by the age of 70 almost everyone has floaters. These symptoms could be a sign of more serious conditions such as – Retinal detachment, retinal tear or bleeding in the eye and need immediate attention to prevent permanent vision loss.